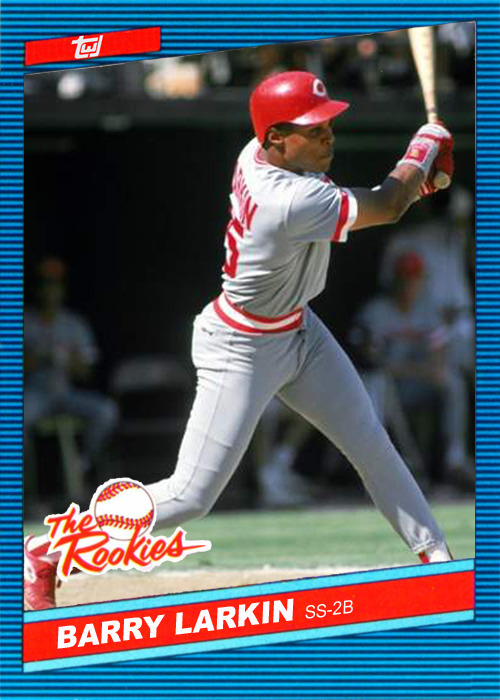 Donruss created “The Rookies” boxed set in 1986, featuring some of the brightest young stars in baseball, including Bo Jackson, Jose Canseco, and Will Clark. The borders were green rather than the blue of the base set, but the scanned card appears more blue than green and I didn’t take the time to adjust it. Donruss missed a couple youngsters here and there, though, including Reds shortstop and future Hall of Famer Barry Larkin. 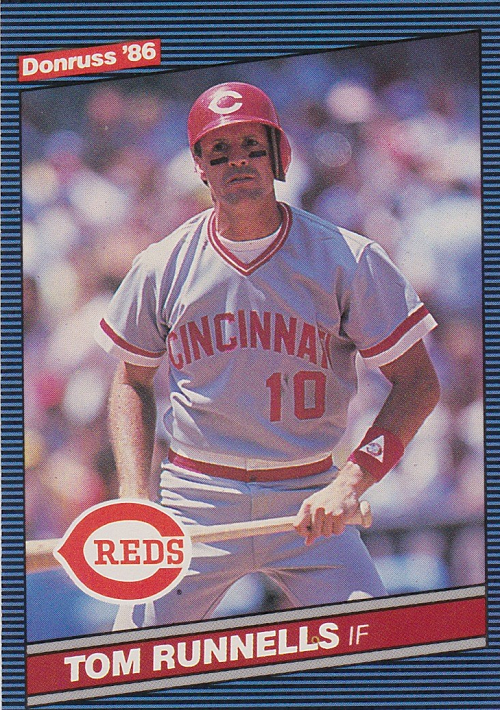 Lark played in 41 games in 1986, hitting .283 with three homers and 19 RBI. 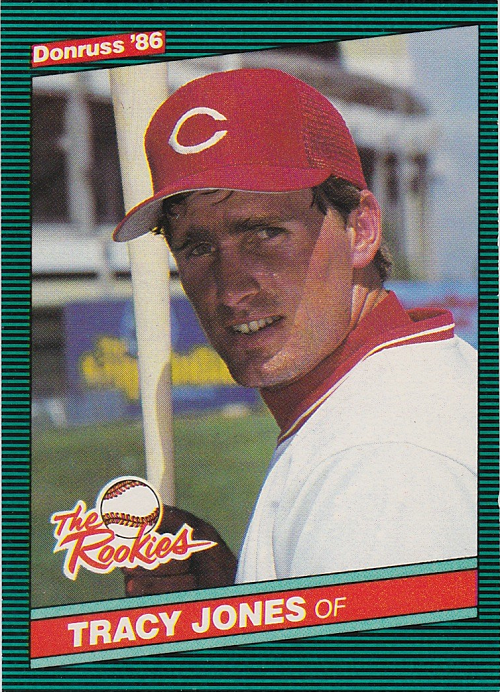 The Reds were still deciding between him and Kurt Stillwell at the shortstop position; Larkin played three games at second base and 36 at short, while Stillwell played 80. For his first two big league seasons, Larkin wore uniform #15; once Stillwell was traded, Barry took #11 for himself. I love the oddball sets of the 1980s, from the 33-card boxed sets you could find at Kmart, Toys R Us, and just about everywhere else, to the cards you had to cut out from Kraft Macaroni & Cheese boxes. But these cards absolutely drove me insane: the big Donruss All-Star cards from 1983 through 1987. Sure, there were plenty of great players included in these issues, but they were too big for a binder and difficult to store. I still haven’t figured out exactly what to do with them. In 1988, Donruss finally wised up and shrunk the cards back down to regular size and they fit nicely into standard baseball card pages. Today is Steve Garvey‘s 65th birthday, and in a shameless attempt to see his cards posted on baseball card blogs everywhere, the Garvey Cey Russell Lopes blog is giving away a 1952 Topps card to someone at random. So of course I’m going to post a card, because I don’t have any 1952 Topps cards yet. The Garvey card pictured above is from the 1986 Donruss All-Stars set. 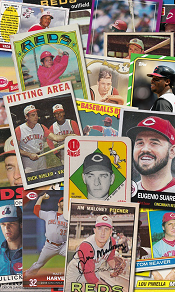 These big cards (3.5 x 5) first appeared in 1983, and lasted in this oversize variety through 1987. 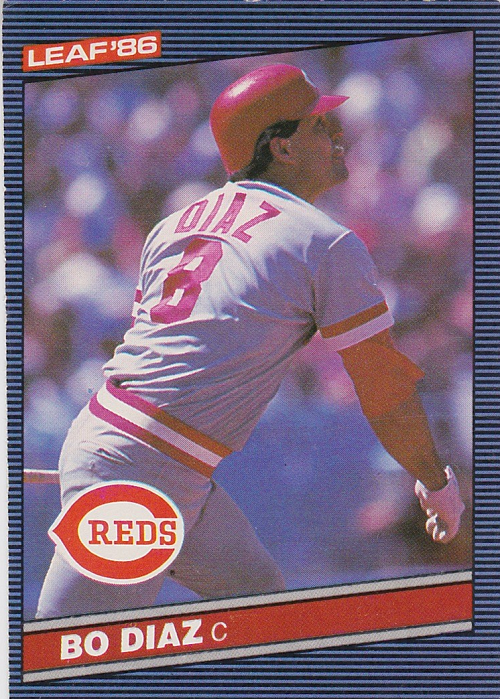 In 1988 the company decided to shrink them to “normal” baseball card size (2.5 x 3.5). 1986 Donruss doesn’t get much love these days, but I loved them as a kid. It was difficult to keep your cards looking mint with those non-white borders. but I loved them anyway. The main difference between the regular set and the All-Stars (other than the ginormosity of them) was the stripes. Instead of horizontal, the blue and black went from top to bottom. Flipping to the back, we see that Garvey had a fairly impressive All-Star career. 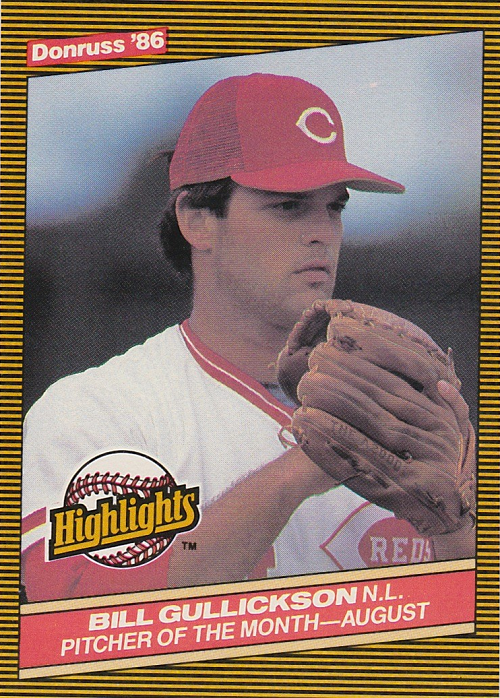 1985 was his tenth and final All-Star game and he managed to belt out a .393 average in those contests. His 1974 campaign was especially impressive, being elected as a write-in and winning the MVP. In 1970, Rico Carty became the first player ever elected as a write-in; Garvey followed him in 1974. Has there been another since? Of his ten All-Star appearances, Garvey started in nine games. In 1981, Pete Rose of the Phillies received more votes. Rose also won the fan vote in 1982, while Al Oliver won in 1983; Garvey was not selected as a reserve either of those years. In 1984, however, the former Dodgers first baseman rose back to the top and was selected to start over Keith Hernandez. In 1985, Rose and Jack Clark sat on the bench while Garvey took the field for the first four and a half innings. I always thought Steve Garvey would be inducted into the Hall of Fame when his playing days are over, and while I would still like to see him get a plaque in Cooperstown, the truth is the numbers just don’t add up. He wouldn’t be the worst player in the Hall, but his selection would probably be seen by rabid baseball fans and historians as a mistake. Regardless, he was a great baseball player. Now go visit Garvey Cey Russell Lopes.